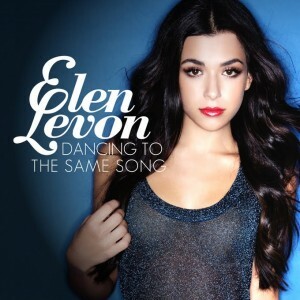 Sydney dance/pop songstress Elen Levon burst onto the scene this time last year in a blaze of both publicity and praise with her debut single ‘Naughty’. And though both it and the follow-up single ‘Like A Girl In Love’ have impressed greatly, commercial success has yet to land at her feet. Enter new single ‘Dancing To The Same Song’, which will be officially serviced to media next Monday. The new single is co-written and co-produced by US super-popsters 3OH!3, who hit the big time here in Australia with their 2009 track ‘Don’t Trust Me’ and whose latest single ‘You’re Gonna Love This’ has so far peaked just outside the top 30 on the local ARIA chart. The track is due at digital retail on Friday August 31. Love this track, we’ll the youtube snippet anyway. Hopefully this will be the one to at lest get her some top 50 success. The label needs to get her on x Factor or SUnrise or something. A little promo goes a long way… just ask Ricki-Lee.